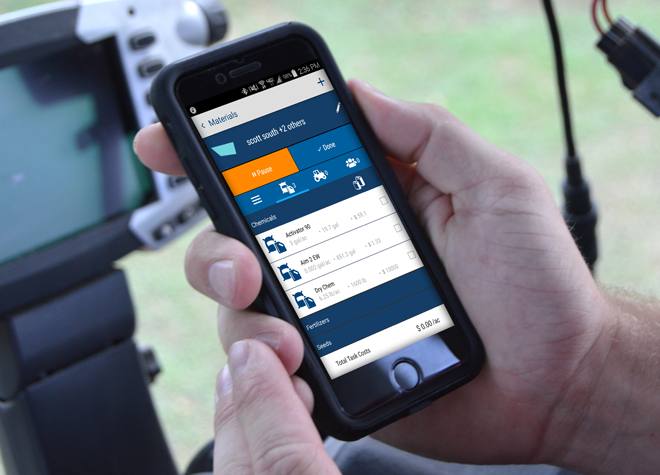 The Work Orders feature takes the guesswork out of assigning and tracking field work for farm managers. 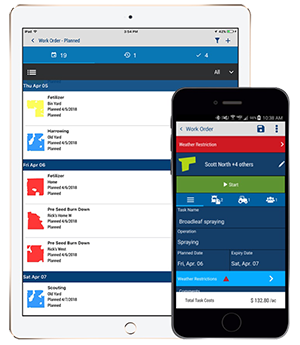 This easy-to-use mobile feature assists in managing logistics, assigning tasks, tracking progress, and making quick adjustments to maximize efficiency and farm productivity. In addition, farm workers can leverage their smartphone to receive daily tasks, resulting in increased efficiency and a reduction in application mistakes. 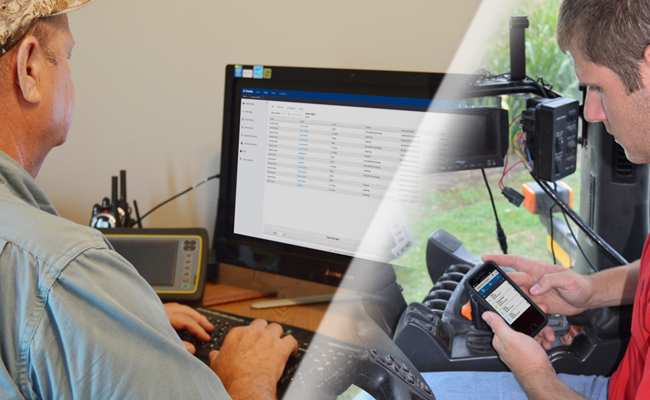 Work Orders is included with Farmer Pro and is available worldwide. Assign tasks to team members so that everyone is updated with the latest tasks for the day. Work orders can include materials, equipment, operators, weather restrictions, target completion and expiration date. Monitor your workers by tracking the progress and completion of each task, improving work efficiency by allowing managers to assess and adjust needs and priorities in real time. Ensure the right project is being done at the right time by the right person on the right field with the right materials. Save valuable time by making quick adjustments to tasks and priorities, especially during the hectic planting and harvest seasons. 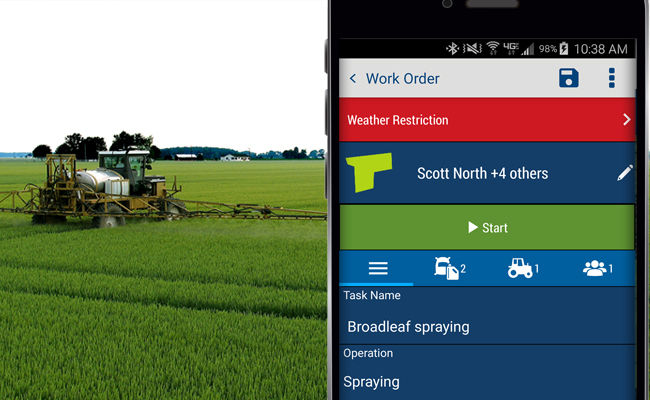 Whether farm workers are using the Trimble Ag Mobile app on their smartphone or the Trimble TMX-2050™ or GFX-750™ displays, the app helps prevent unadvised spraying or applications to the wrong field. Also, by entering weather restrictions for work orders, the manager receives timely notifications if work violates the parameters. Work Orders are essential for keeping the manager more connected with the team. The Work Orders feature is included with Farmer Pro and is available worldwide. Click below to learn how to purchase.